Jack Nicklaus is one of America's greatest golfers. The Jack Nicklaus Museum pays homage to Columbus' hometown golf hero. The museum documents Nicklaus' career as a golfer, course designer, businessman, and family man. Located in the heart of The Ohio State University sports complex, the vast collection of artifacts. Take an immersive journey through Jack's brilliant career including trophies, photographs and various mementos from his unparalleled 20 major championships and 100 worldwide professional victories…and discover the many facets of this remarkable man who added so much to the history of golf. 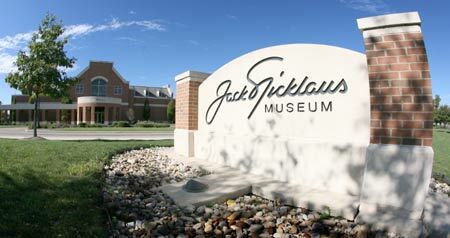 The museum helps preserve and presents to the public the history of Jack Nicklaus for current and future generations. For Nicklaus fans and other sports enthusiasts, the 24,000-square-foot facility chronicles Jack's innumerable successes, accomplishments, and memorabilia including the Golden Bear's 6 Masters trophies. In 1938 The Ohio State University opened a golf course near Tremont Road in Upper Arlington. Less than 2 years later and only a short drive from the OSU clubhouse, Charles and Helen Nicklaus welcomed a son they named Jack. Over the years, Jack Nicklaus would become quite familiar with Ohio State's Scarlet course, first as a member of the University's golf team and more recently as the course designer who oversaw the redevelopment of the Scarlet Links. Given Jack's connection to Columbus and The Ohio State University, it seems very appropriate that the museum built to honor him sits within the confines of the Ohio State University. The museum houses a large collection of Nicklaus memorabilia and historical displays related to golf and Nicklaus. The museum also has a 400 seat dining room that is available for events and meetings. "This is truly a meaningful and humbling gesture by The Ohio State University. It was significant enough to my family and to me to have the Jack Nicklaus Museum on the Ohio State campus. 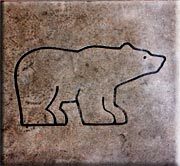 Now, to have a road bearing my name is a special honor."